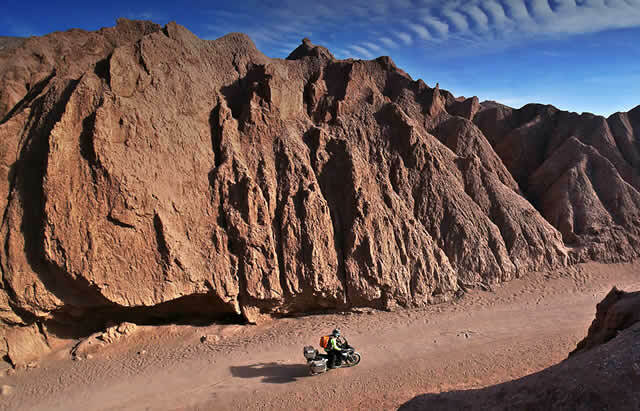 THE NEW PROPOSALS FOR TWO-WHEEL TOURISM. Do you prefer fast road trips? Do you refuse to move unless it’s to face the challenge of an on/off road raid adventure? 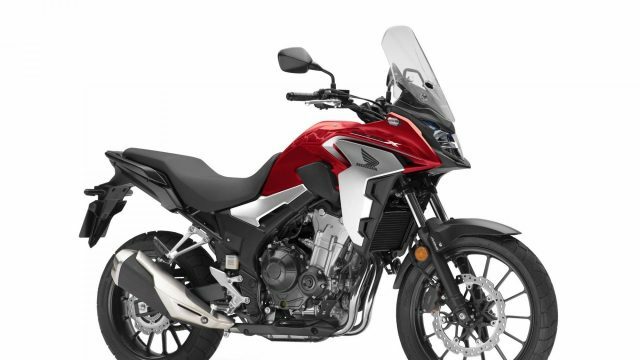 The models the manufacturers presented at the motorcycle shows in late 2018 cover travellers’ different needs. New entries, re-styling, up-grades. The brief profiles of the models being considered allow for a general evaluation of the opportunities that the enthusiast will find in dealerships during 2019. We’ve left the smaller engine sizes off the list (under 500 cc), as well as the maxi scooters, but we are, of course, aware that there are those who have crossed entire continents with vehicles that were meant for the city (there are plenty of examples on our portal). We are bound to have forgotten someone but, generally speaking, all the “big names” should be there. The immortal boxer from the Monaco manufacturer is relaunched in an advanced version thanks to an increase in power of 84 cc (from 1,170 to 1,254 cc) and new variable valve timing. Leaving the numbers aside, it can be said that the upgrade has made it possible to shift to EURO 5 without limiting performance in terms of torque and power. The new GS has a shape that makes it look even lighter (it actually exceeds 250 kg). Those who have tested it appreciated its power at low revs (from 1500 rpm), with continuous progression without steps. 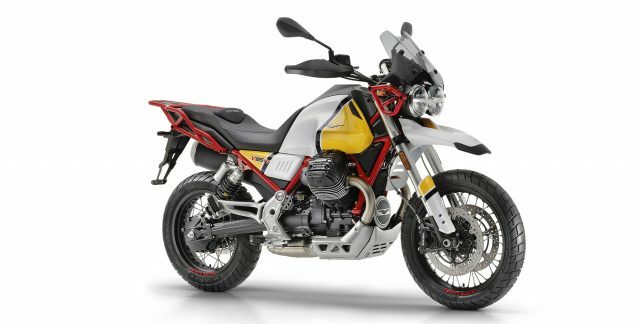 The Adventure version has a shortened gear ratio, useful for off-road use, and restyling of the fuel tank area. No significant changes have been reported in the chassis. The same goes for the R1250RS road tourer, the flagship of the BMW range which shares further “gems” with the GS, such as ASC stability control and Hill Start Control. The tank becomes 23 litres, the chassis has been reviewed to overcome challenges on any terrain. The profile has also been updated (side panels and front) and the equipment improved with ASC traction control and two riding modes (ROAD and RAIN). As optional, and this goes for the greater GSs too, there is the PRO programme, with dynamic functions dedicated to off-road driving. Its power, compared to the GS version, does not change. The front is a reminder of that of the 1260. Looks aside, Ducati has done a great job on the engine with the introduction of the Bosch IMU and ABS Cornering and on the chassis with lighter rims and fork. However, the “S” version is the real new entry for 2019: it costs more but also offers much more, including electronic suspensions (with constant adjustment of damping of fork and shock absorbers depending on the road surface), the hill start control device and hydraulic clutch control. An important update for this model, top of the range of the brand’s maxi-enduros, has touched on the chassis and the engine: the new Desmo variable timing of 1,262 cc. 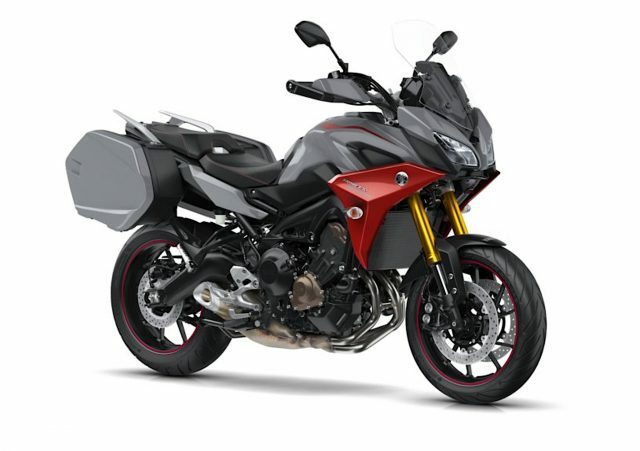 The manufacturer claims to have made the motorcycle easier to ride but the twin-cylinder increased by 158 cv (the same as the road version), the various riding modes dedicated to off-road use, the shorter first gear, the 19” front wheel, the ABS that can be excluded at the rear… place it amongst the specialist dirt bikes. Accelerator handling is certainly a lot smoother thanks to the Ride by Wire, the seat and centre of gravity have been lowered. 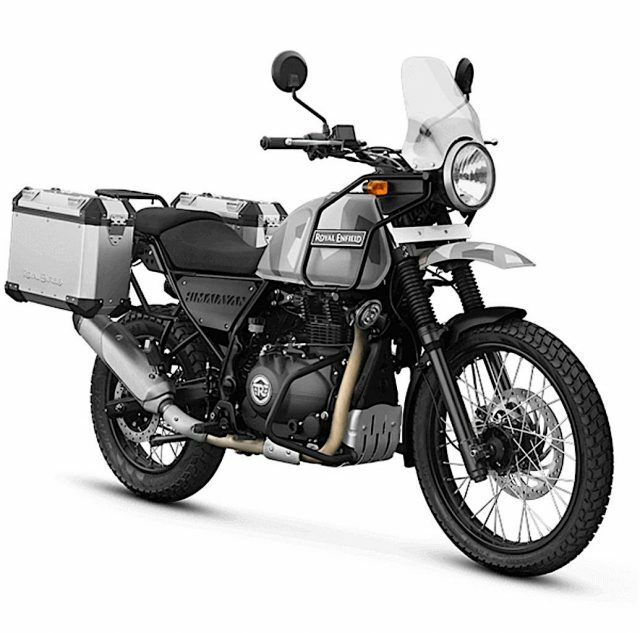 Its 30-litre fuel tank make it an “Adventure” bike of great importance. Here is another medium cylinder bike ready for off-road. The new 2019 set-up takes the engine of the standard version but adds suspensions that are more customisable and more usable off-road (200 mm stroke). Other highlights include the front headlight protected by metal mesh and embellished with a compact front cowl. The motorcycle weighs 150 kg without fuel. 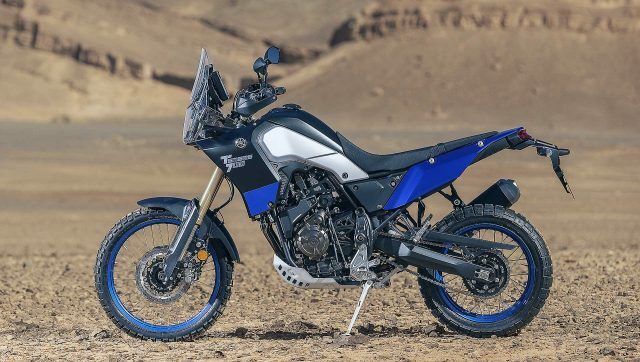 A compact crossover that the manufacturer re-presents with a more off-road setting and with the parallel twin that performs better at low and medium rpm. The suspensions are new, with greater range, and the front wheel is also new, now it is 19”. We should remember that this motorcycle does not exceed 48 CV and so can be driven with an A2 licence. The 2019 version has a slipper clutch and is presented to the public with an attractive design, improved comfort and full LED lights. The look of this comfortable tourer 1000 has changed, it is now much grittier, with a more compact exhaust, a brand-new rear end, lower seat, front LED headlights (which on the SE come on when leaning, to illuminate corners). There is also a new re-mapped control circuit to offer more response at low and medium rpm. Again, as far as electronics are concerned, the electronic Throttle Valve, Bosch inertial platform and updated ABS are now available as standard. The brakes are unprecedented, they now use radially mounted calipers at the front. The Versys Special Edition, on its debut, is equipped to face long journeys (trio of cases, assisted gearbox, 4 riding modes, additional headlights, new instrumentation and more). This new 95cv maxi-enduro uses the mechanical base of the Duke to express a distinctly off-road spirit, especially in the “R” version. A direction that has led to the Austrian manufacturer preparing a top-notch chassis (steel frame, WP suspensions with a wide range, 21” and 18” rims). There is plenty of autonomy thanks to the 20-litre capacity of the tank. The electronics are not far behind (including the quickshifter…). The more “on-road” 790 Standard shares its weight (189 kg) and most of its electronics with the “R”. Its chassis is less aggressive, and the tyres are not tessellated. The Granturismo version has an engine that just never stops. It is the 1,301 cc V2 which has been reviewed in terms of intake and mapping to significantly boost torque and power. As standard we find the bidirectional electronic gears. From an aesthetic point of view, the company has focused on the front end which is brand new, instrumentation included. The electronic equipment provided is advanced in terms of handling suspensions, ABS traction control, etc. The focus has also been on comfort, with heated grips and cruise control as standard. The conformation of the rear end… doesn’t appear to provide space for any top cases. Promoted from concept to standard model, this large all-terrain bike, with its retro line, has finally revealed its technical data: 853 cc engine with 80CV and 80Nm with 2 titanium valves per cylinder, and an entirely new chassis, designed for use on-off road thanks to adequate suspensions, 19” and 17” spoked wheels and different riding modes. The arrival of the V85TT opens the doors to the “great tours” segment for the Mandello manufacturer. Highlights: the twin front headlight, the red frame, two-tone livery. The motorcycle weighs 208 kg without fuel; the seat is at 830 mm from the ground. This is the exception to the choice of excluding those models under 500cc from this overview. Presented at the show in Cologne, this version widens the horizons of the Indian manufacturer. What has changed? Firstly, the livery, and then the handlebars, in light alloy and with crossbar (inherited from the world of enduro). We also find the steel engine guard bars as standard, designed to protect the legs of the rider too. The crossover vocation can also be seen in the choice of the 21” front wheel. The Sleet has side panels that support two 26 litre steel cases. The engine that drives it is the classic 411 cc single cylinder. Another aspect we should highlight is its exclusivity: in fact, only 500 examples of this motorcycle will be produced (60 destined for Italy). Two versions for mixed more or less “OFF- ROAD” journeys. XC and XE have been built around a new frame, which in turn houses suspensions with a range of 200 mm (both the Showa fork with the twin Ohlins shocks with separate tank). The braking system is by Brembo. The engine derives from that of the Bonneville of the same displacement. There is no lack of electronic controls that can be managed by the rider, and which can be found in a more specialised version of this also goes for the suspensions on the XE. 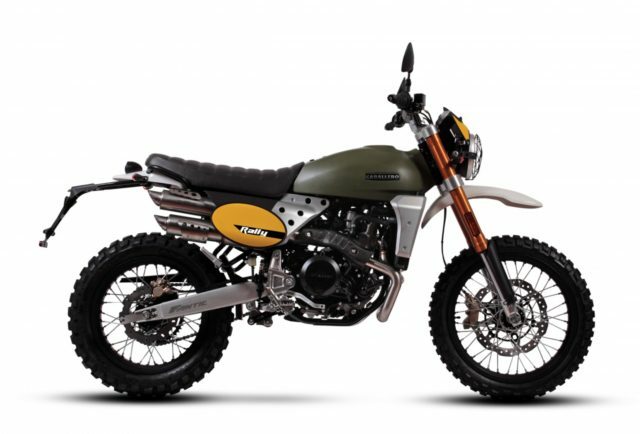 The Vintage line of this “scrambler” is inviting and has been improved with hi-tech elements such as the fork in aluminium, the twin exhaust on the right, and the rear LED light. Great expectations for the “700” version, as it comes to the autumn motorcycle shows in a version for the public, after having been admired as a concept and in plenty of videos made by the manufacturer. In this case too, we are talking about a model aimed at those who love demanding trips, above all in terms of road surface, so certainly a valid choice for rally enthusiasts. The motorcycle, which will arrive mid 2019 in 3 different colours, is driven by an engine derived from that of the MT-07. We should draw your attention to the oversized front headlight unit, with four headlights, the streamlined 16 litre tank, the 21” and 18” wheels (with Scorpion Rally STR tyres as standard). Naturally, the chassis meets all expectations, designed to aid driving while standing; the suspensions are multi-adjustable, the fork is in aluminium with progressive linkage, the frame is a double steel cradle. The ABS can be turned off. At just a short distance from the 900 Yamaha presents the 700, again in a GT version and so more suitable for travelling. The differences with the basic version are, therefore, limited to changes made to improve comfort, by making accessories there were once available as optional, now standard, such as the more comfortable seat, the more protective, adjustable windscreen, the 20 litre side cases.